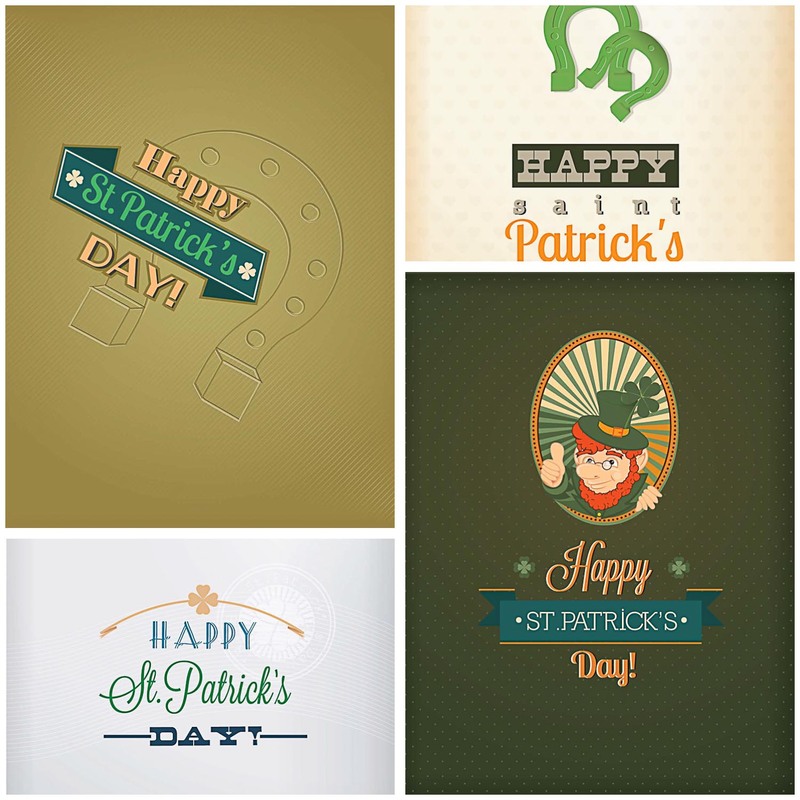 Set of 4 vectors with holiday greeting cards for Saint Patrick’s Day with illustrations of ribbons, horseshoe, leprechaun. File format: .eps for CorelDraw, Illustrator, Photoshop or other vector software. Tags: green, greeting card, happy, holiday, Saint Patrick's Day card.